We designed and build a website for a top auto maker. A hand-crafted website for a top craft beer. See project. These are a few brands we’ve built web design and UI/UX solutions for. We are an award-winning San Diego web design agency. It’s not just our track record or pixel-perfect web design. It’s our creative process that makes us standout as one of the top web design studios in San Diego. As a result, our passion and drive are put into everything we do for our clients. So that passion and drive have kept us in business for over 20 years and allowed us to create a community and foundation with many local San Diego businesses and brands throughout California. Furthermore, we believe in using the best practices and design processes to build something for our clients that are made for success. 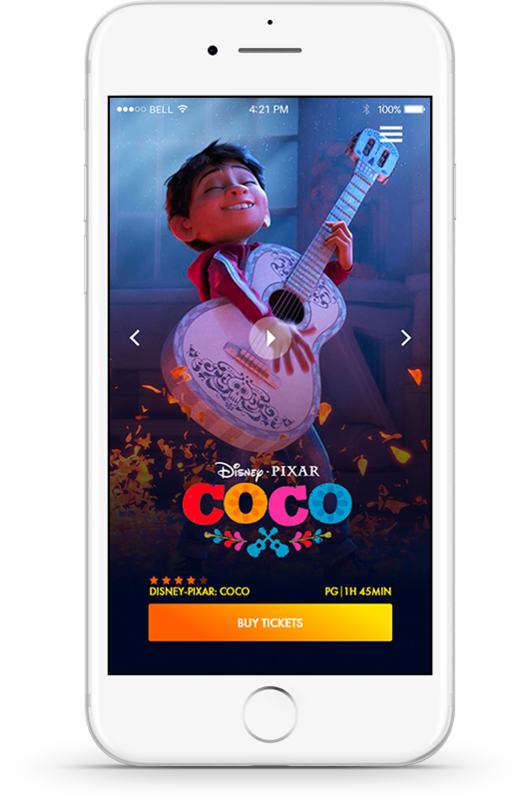 This featured project is the UX/UI design for a movie app where you can purchase tickets on the go. You can swipe through featured movies, choose a movie and purchase tickets. Are you in need of a new website that helps your brand grow? We partner with our clients helping them get the professional, strategic guidance needed to grow.